0.25 Ct.T.W. Round Brilliant Cut Diamond, Black Onyx, 14K White Gold. Onyx and Diamond Men's Wedding Band. 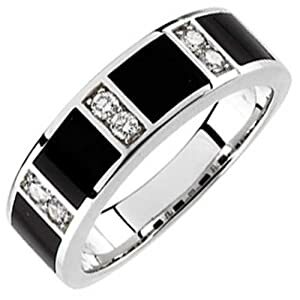 Be her prince charming forever by choosing this regal Onyx and Diamond Men's Wedding Band. 14K White Gold. Men's Cuban Style Gold Chain. This handsome 14Kt. 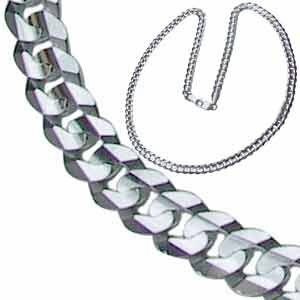 White Gold Cuban Link Chain (Curb Link) is solid gold with a satin finish. Any man would enjoy the feel of this simple yet classic chain on his neck. 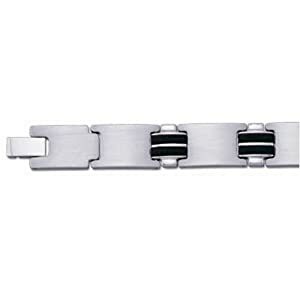 8.25 Inches Men's Bracelet in Stainless Steel and Rubber. Black & White Steel and Rubber Men's Bracelet. Stainless Steel has become one of the most sought after materials in fashion as of late, and it is no wonder why. 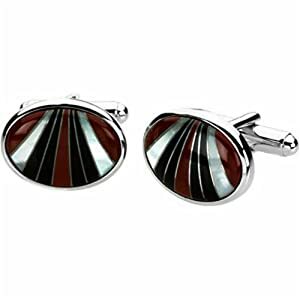 Sterling Silver Elliptical Genuine Carnelian, Mother of Pearl and Onyx Men's Cuff links What could you ask for more with this handsome elliptical cuff links crafted in sterling silver with a multicolored combination of genuine carnelian, mother of pearl and onyx. 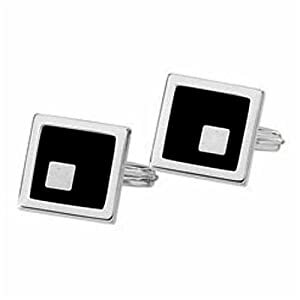 Square Shaped Sterling Silver Genuine Onyx Men's Cufflinks These gorgeous square cuff links are crafted in Sterling silver along with black onyx. Round Brilliant Cut Diamond, 18Kt. Yellow Gold, Titanium. 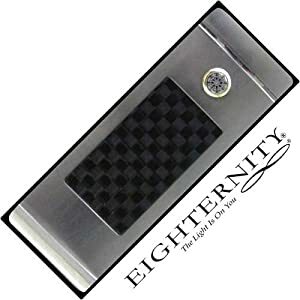 Eighternity Diamond Money Clip. Keep your big bucks in a stylish and elegant money clip. Crafted in Titanium, with a round brilliant cut Eighternity diamond, enclosed in 18Kt. 0.10Ct. 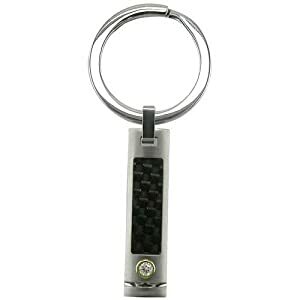 T.W 38mm x 20mm 18K Yellow Gold/Titanium/Carbon Eighternity Diamond Cylinder Key Ring Beautiful 18k Yellow Gold Key ring with Diamond Accent. 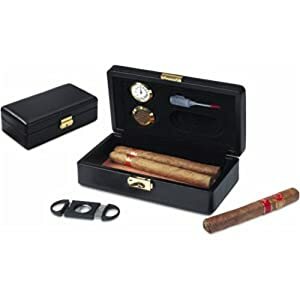 The perfectly crafted cigar case humidor for the sophisticated man! Every inch of this luxurious cigar case humidor has been ideally made for traveling. 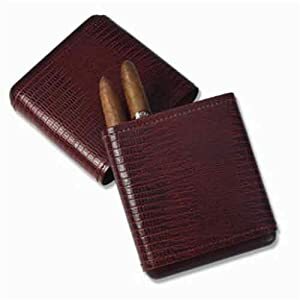 The case can contain up to 6 cigars. Ideal for the novice cigar smoker and the seasoned pro. Includes a humidifier, an external glass hygrometer, a lock and key made of brass. Marble wood finish, Holds up to 100 cigars. A perfect gift for the cigar aficionado! Keeps those expensive cigar from going stale. 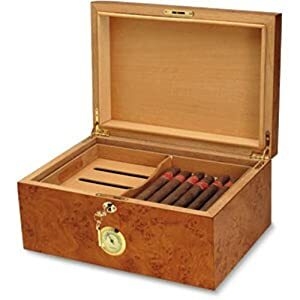 The humidor is covered with leather in lizard grain and can hold up to 7 cigars. "Like" us on Facebook to have a chance to win 1 of the 2 Diamond Rings that we are giving away!